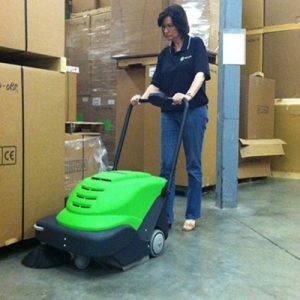 Ask any professional cleaner to select the most essential equipment for their cleaning regime and the answer will include a tough professional vacuum and powerful rotary floor machine. 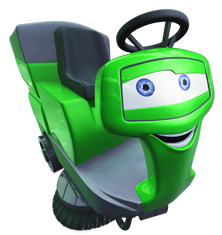 Now you have a Henry to serve each and every task. 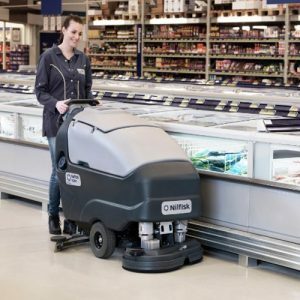 The Numatic Henry FMH1515 New Rotary Floor Buffer is built on our time-tested Hurricane series, tested across the globe providing tough cleaning every day, day in day out. The heart of the Henry FMH is a powerful oversized Hurricane 1500W drive motor allowing for higher speeds and the use of added weight as required. 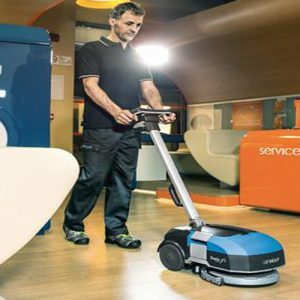 User operation is straightforward whilst the transmission of power to the floor is seamless via the long-life oil filled planetary gearbox resulting in a floor machine that really is a pleasure to use. 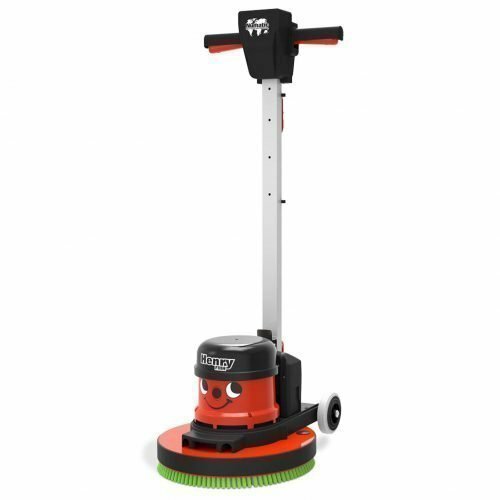 The Henry floor machine professional cleaning power and reliability you can expect from the trusted Henry range. 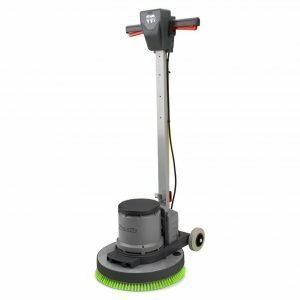 A comprehensive range of accessories is available to cover wet applications, carpet shampooing, vacuum polishing and floor sanding. • Planetary Gearbox – Longlife, oil filled, low load planetary gearbox. • NuLoc2 Systems – Optional pad interchange systems, quick, simple and secure. • Hi-Cool Motor – 1500W motor allowing for higher speeds and the use of added weight as required. • ATC (Automatic Torque Control) – Monitoring and balancing power input throughout the cleaning cycle. • Fully Adjustable Handle – Adjustable for the perfect position. 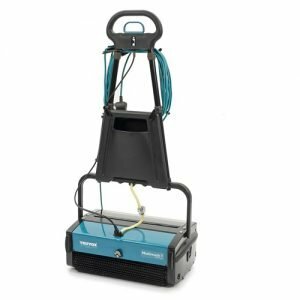 • Accessories – A range of accessories available to cover wet applications, carpet shampooing, vacuum polishing and floor sanding.